I hope your Thanksgiving is a fabulous one! I for one cannot wait to eat some turkey. My husband and I discuss each and every year why we only eat it once a year. It is so good. What are your plans for this week? Starting Friday I will be sending out my 12 Days of Holiday Helper newsletter. If you want to get your copies be sure to sign up on the left right away. 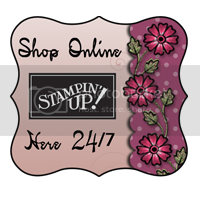 We have a sale at Stampin'Up! that started yesterday and runs for 9 days only. Our My Digital Studio is 50% off! It is the perfect time to buy your copy. There are tons of items on sale so be sure and click on the link to the left and check it out.